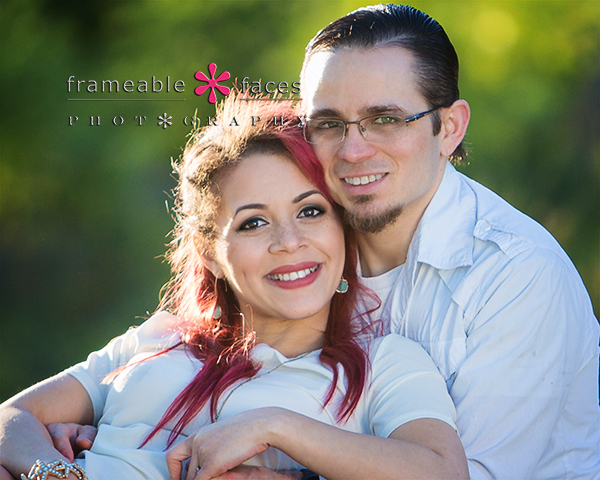 Photographs Of A Biloxi Bride And Her Beau With A Baby On The Way! Here’s one to start with of the happy couple! The Frameable Faces Spring Tour 2017! We had been talking about taking a road trip during spring break to see family and friends, and we knew that not only did we have some friends we met through Periscope along the way, but that some of them had been saying for some time that they would love to do a photo session with us if only we were closer! We put the word out that we were coming South and Lana along with our friend Nelma in Pensacola (blog post coming soon) both said “we’re in” for photos! The Frameable Faces Spring Tour 2017 started to take shape (blog post coming on that too). 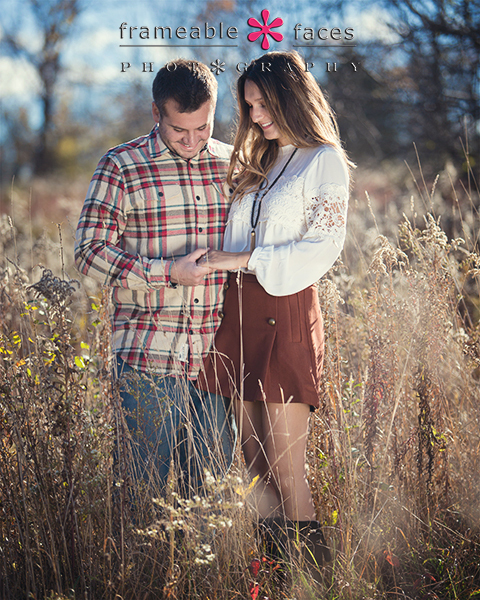 We had it all planned out to do an afternoon session in Biloxi with Lana and her fiancé Chase who are also expecting! Lana was around 6 months pregnant for this shoot and you would barely know it. They are going to be a perfect blended fam – Chase has kids of his own, and Lana’s little guy Channing and her mom Angela (both of whom we also know from Periscope) actually came by to hang out on the session and we had so much fun. What’s cool about Periscope is 9 times out of 10 when someone is broadcasting live you get to see who they really are – it’s not usually super rehearsed and Lana is no exception – she’s cray cray in the very best way way – a true delight! Meanwhile here is the behind the scenes broadcast we did live on – you guessed it – Periscope. You can download the app and join in the fun on our future broadcasts at @FrameableFaces here or you can also check them out from twitter here. We should also mention a fun little footnote…. these were originally planned as engagement photos, but these two decided to change gears and get married less than a week after our session! So they’re already married!!! Lana has already been a Biloxi Bride and the next photo is a perfect happily ever after to finish on! 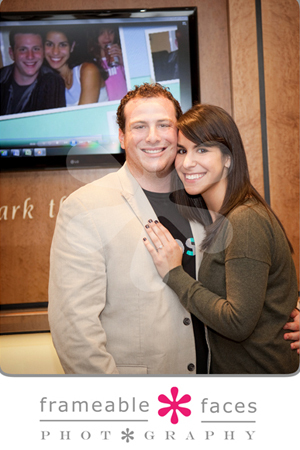 So there you have it – a Biloxi Bride and her beau with a baby on the way! 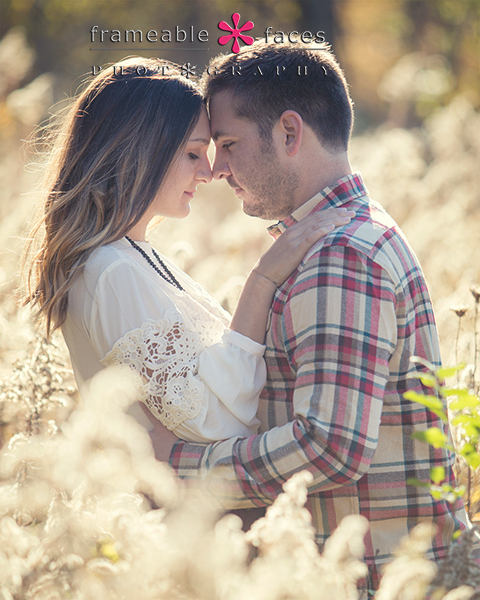 We hope you enjoyed our first ever photo session in Mississippi with this wonderful couple! 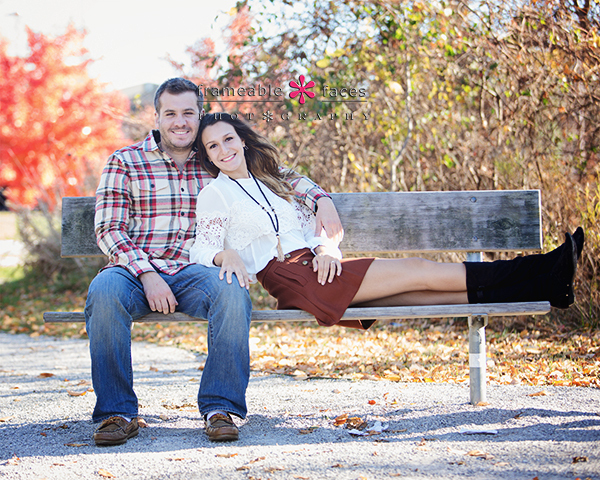 Love Was In The Air For Alex And Rachel’s Engagement Session! Love was in the air – well actually it’s in these portraits we’re about to share with you of our cousin Alex and his wonderful fiancé Rachel! This is yet another portrait session that lands in the category of the surreal since Ally can remember when Alex was born and I came on the scene not a whole lot later than that. It’s one thing to be photographing seniors whom we’ve known since birth, it’s another to be photographing engagement photos for this guy. Keep in mind that we did Alex’s senior portraits too, so officially he’s the first Frameable Faces senior to also have his engagement photos done by us! This session was totally on location at one of our favorite spots and we had a perfect day – perfect lighting and perfect scene overall. Let’s take a look at a couple sneak peeks shall we? You can tell how happy they are – happiness just leaps right off the screen! Okay now let’s get back to a few more awesome photos! And there it is! 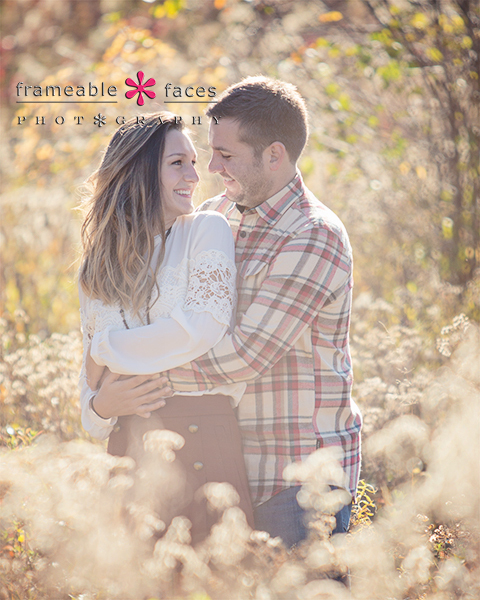 Love was definitely in the air with Alex and Rachel and we hope you enjoyed the highlights of our time with them! Boy courts girl through high school, college and several moves throughout thecountry. 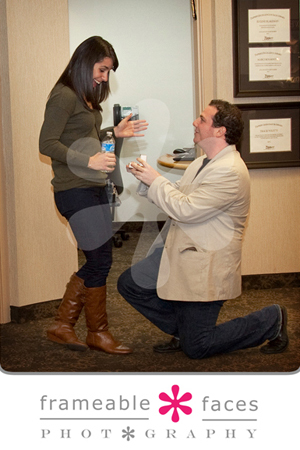 And then he enters a contest to win an incredibly beautifulengagement ring from Tapper’s Jewelry Store. E and M have quite an amazing love story. It started back in high school (to know me is to know that I’m a sucker for couples that meet in highschool. These two actually DATED in high school. So cute!). You can read the whole story here. 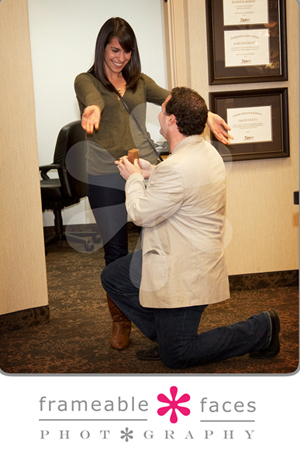 Well…when we found out that E won the ring, we were asked how late we were going to be at the studio that evening. 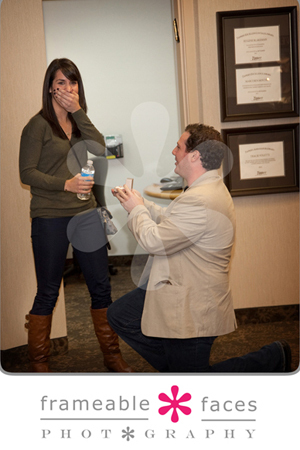 When we asked why and were given the answer, we JUMPED at the opportunity to photograph an engagement. At 7:30, Tracie from Tapper’s came down to get us. We all but ran down the hallway (with our super excited 12 year old and 10 year olds in tow – they were almost as excited as we were!). We walked into Tapper’s and waited while E and M were “interviewed” one last time. It was really a diversion tactic that E set up so that his whole family, M’s whole family and we could get down to the store to be able to photograph the question being popped. M realizes what is going on! When the door opened, and E and M came out, M saw every one around. E got down on one knee with an opened ringbox, and asked M to marry him. I was teary, my daughter was teary, both moms were teary, E was teary….you get the picture! And ya know what? SO DID I!!! This was such an incredible event to be a part of! There’s nothing like the beginning of something absolutely beautiful. Family, love and diamonds…. Does it get any better than that??? Many congratulations to you, E and M! We hope that you’re as happy for the rest of your lives as you are now! Thank you for letting us help you capture this amazing milestone in your lives!